From the consumption of original flavor, seasoning and low temperature baked nuts on the market, but yet still missing the touching tastes? 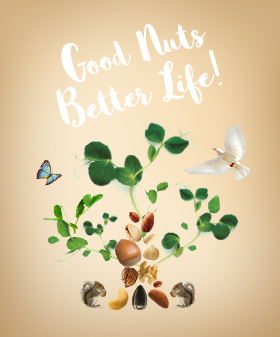 How to consume the most original nuts and yet to enjoy its flavor, aroma, taste and healthiness? The bite of dates and the natural creamy, fruity of macadamia, the intertwining of tasting layers is absolutely remarkable. 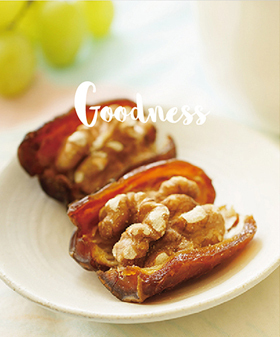 “DoReMi Nut’s” most popular product, The Hugs of Date (椰棗抱抱), is holding a combination of healthy satiety but also to avoid excessive fats; It meets nowadays desire of original and no extra dressing. It is made with small amount of baking to bring out pure taste of food. And through this, we try to deliver the sincerity of our product, like baking the coffee beans, to taste each of natural incense. Our Macadamia is origin from Australia. It is rich in its aroma and sweetness; easy to keep and not to have the greasy taste. They also have more advanced decorticating technology than other produce countries. Our maximum amount of each baking would be two baking pans only. The baking temperature is subject to change due to daily temperature is different. During the process, it is very time consuming to focus on the minor changes and stir to make it heated evenly. The loss of oil and moist is inevitable during process. We hand pick out those had lost excessive oil or heated unevenly, and each pick out is about 20% of loss. When the pick out is completed, the nuts will cool down with breeze; we also named our nuts as Light Breeze (微薰堅果) after this final step. The sweet of our date is from its own natural fructose, diabetes patient can also use this as substitute of sugar. There are significant difference in the taste and sweetness of date produced in Iraq and jujube from Asia. This amazing nut: date, the opening will heal up by itself after hand seeding. Its taste will be varied from different preserved temperature, the pulp taste soft and sweet during the hot days. When is cold or been refrigerated, the pulp taste harder with less sweet, but it would become softer and chewy gradually due to the temperature of mouth. The most challenging of non-flavor nuts is its short shelf life with high cost. The shelf life needs to be six months or more in order to meet the profit of sales. The general market products or food processor will add seasoning in order to keep it fresh and extend its shelf life. And because the original is rarer than seasoning, so we must find a better way to preserve to replace seasoning, preservative and additive. Generally, the shelf time for vacuum packaging can last for one year, but once it is open, the best time to taste is only 14 days. 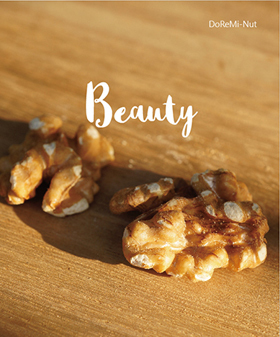 DoReMi Nut’s bag is light-proof and is integrally formed. Its full nutrition within just one piece can supplement daily nutrient that are easily missing, also achieve weight loss and purify skin. It contains and rich in magnesium, iron, zinc, fiber, calcium vitamin B, vitamin K and carotene; its magnesium and fiber are much higher than other fruit. 2.改善及預防貧血 Improve and prevent anemia. 4.提高腸胃蠕動,增強免疫力 Improve bowel movement, enhance immunity. A good amount of iron can increase blood hemoglobin, so the internal body oxygen will be sufficient, metabolism will be higher. The yeast to break down the fat will be more active to achieve weight loss. Date also contents fiber and can relief contestation. In addition, dates also content carotene, which is anti-oxidation and beneficial to maintain skin. The calcium can also prevent osteoporosis and soothing emotions. And the iron and zinc is beneficial to pregnant woman. People tend to lose appetite during summer time and become lack of nutrition. Daily consumption of dates can help to increase nutrition and fat burning. Ministry of health and Welfare categorized “nut” as “oil” type of food in Guidance of Daily Consumption and Daily Dietary Indication in 2011. Although it is healthy/super food, but since we prefer oily in our eating habit, we would only need approximately 30 grams (one hand full or an amount of spoon) per day. Therefore, it is not necessary to consume too many nuts in Taiwan. In addition, nuts are not easy to keep in Taiwan compare to dry environments in Europe. Market tend to sell larger size bag of nuts and we usually consume no more than 20% then it becomes greasy. It is not worthwhile and may even affect our health due to improper way to preserve or consume too much. When it comes to select nut, non-flavor and single package will be the top choice. The mix-nuts which are selling in market would add in black beans, soybeans and dried fruit and little selected nuts to reduce the cost. 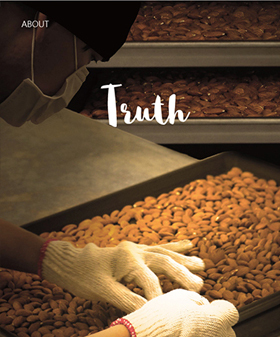 And when the nuts are mixed with dried fruit will result in oxidation and cause aflatoxin once the package is open. DoReMi Nut’s “The Hugs of Dates” is small single package and suitable for nowadays life style. Each nut has its own characteristics so the baking temperature will be different as well. The spreading of oily aroma after baking is unforgettable. We baked it with mid-temperature to keep the original smell and its sweet. We are also the first for single package in the industry to ensure the consumer enjoy the most original flavor.